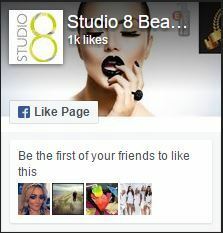 1.4 In this policy, “we”, “us” and “our” refer to Studio 8 Beauty Ltd of Central Square, 1000 Lakeside, Western Rd, Portsmouth, PO6 3EN. 2.4 We may process your information included in your personal profile on our website (“profile data”). The profile data may include your name, address, telephone number, email address, gender, date of birth and profession. The profile data may be processed for the purposes of enabling and monitoring your use of our website and services. The legal basis for this processing is our legitimate interests, namely the proper administration of our website and business. 2.5 We may process your personal data that is provided in the course of the use of our services (“service data”). The service data may include your name, email address, contact telephone numbers, home address, date of birth and medical information that would be analysed to ensure your health, safety and wellbeing is maintained whilst undertaking services with us. The source of the service data is you. The service data may be processed for the purposes of operating our website, providing our services, ensuring the security of our website and services, maintaining back-ups of our databases and communicating with you. The legal basis for this processing is our legitimate interests, namely the proper administration of our website and business. 2.7 We may process information contained in any enquiry you submit to us regarding goods and/or services (“enquiry data”). The enquiry data may be processed for the purposes of offering, marketing and selling relevant goods and/or services to you. The legal basis for this processing is our legitimate interests, namely [the proper administration of our website and business. 2.8 We may process information relating to our customer relationships, including customer contact information (“customer relationship data”). The customer relationship data may include your name, your employer, your job title or role, your contact details, and information contained in communications between us and you. The source of the customer relationship data is you. The customer relationship data may be processed for the purposes of managing our relationships with customers, communicating with customers, keeping records of those communications and promoting our products and services to customers. The legal basis for this processing is our legitimate interests, namely [the proper management of our customer relationships. 3.1 We do not undertake automated decision making or profiling. 5.1 Please note that countries outside the EEA may not have the same level of protection for personal information as countries within the EEA, but we always demand that those parties to whom we transfer data adhere to the same security procedures that we follow ourselves. By submitting your personal information, you consent to such processing and transfers in connection with such orders, offers or services and for any other purposes to which you consent at the time you provide your personal information. (a) Personal data will be retained for a maximum period of 7 years following the date of last service provided. 7.2 We will store all your personal data on secure servers, personal computers and mobile devices and all electronic systems will be password protected and in secure manual record-keeping systems. 7.3 The following personal data will be stored by us in encrypted form utilizing SSL technology: your name, contact information, profile data and password(s). 7.4 Data relating to your enquiries that is sent from your web browser to our web server, or from our web server to your web browser, will be encrypted using SSL technology. 7.6 You should ensure that your password is not susceptible to being guessed, whether by a person or a computer program. You are responsible for keeping the password you use for accessing our website confidential and we will not ask you for your password (except when you log in to the booking system via our website). 9.5 In some circumstances you have the right to the erasure of your personal data without undue delay. Those circumstances include: the personal data is no longer necessary in relation to the purposes for which they were collected or otherwise processed; you withdraw consent to consent-based processing; you object to the processing under certain rules of applicable data protection law; the processing is for direct marketing purposes; and the personal data have been unlawfully processed. However, there are exclusions of the right to erasure. The general exclusions include where processing is necessary: for exercising the right of freedom of expression and information; for compliance with a legal obligation; or for the establishment, exercise or defence of legal claims. 11.2 If we have reason to believe that we hold personal data of a person under that age in our databases, we will delete that personal data, unless we have consent from a parent or legal guardian. 13.1 In respect of personal data outlined in clause 2, we do not act as a data controller; instead, we act as a data processor. 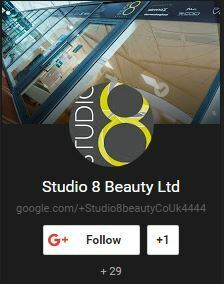 19.1 This website is owned and operated by Studio 8 Beauty Ltd.
19.2 We are registered in England and Wales under registration number 08387828, and our registered office is at Central Square, 1000 Lakeside, Western Rd, Portsmouth, Hants, PO6 3EN. 19.3 Our principal place of business is at Central Square, 1000 Lakeside, Western Rd, Portsmouth, Hants, PO6 3EN. 22.1 Our data protection officer is Lisa Young.